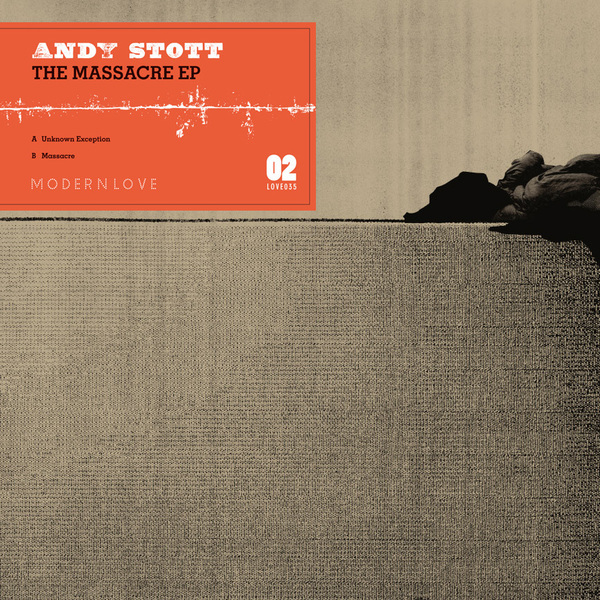 New from Andy Stott's Echo-Chamber, the thirty fifth release on Modern love and without a doubt one of the label's deepest twelves to date. "Unkown Exception" on the A-side has been in gestation for quite some time and has undergone various transformations before reachning this version before you. It's a sultry track that makes use of a slowtemplate before covering it in swathes of dub pads and a pulsating square bassline - the end result sounding like a midnight jam between Theo Parrish, Maurizio, Larry Heard and Burial. Halfway-through and the track starts to disintegrate, coming to a heady breakdown that leaves only a trail of delay before it comes to a halt - re-emerging with a minimal clank in 4/4 that you'd be more likely to find in a villalobos set than anywhere else. Over to the flip, Massacre is a purist bass session in 4/4 that comes complete with loud stabs and another bassline that's hard to fathom,. If you're after bass murder - look no further.